Frost Creek, formerly known as Adam’s Mountain Country Club, has caught the eyes and imaginations of golf enthusiasts and lovers of Colorado’s natural beauty for decades — myself included. The first time I played the course, I was astounded by each hole’s orientation to another, coupled with an amazing view corridor and thoughtful layout by course designer Tom Weiskopf. Equally surprising to me was how underutilized the club and course were. How could this amazing golf course, clubhouse facility and infrastructure not be enjoyed by the club’s full capacity of members? The pool should be bustling with people enjoying the Colorado summer. The tennis courts, fishing ponds, private water on Brush Creek and club facility should be the “go to” gathering places for families and people of all ages. There was so much potential. Victim of the “old” club model and the recent economic recession, Adam’s Mountain Country Club never reached its full potential as one the premier destination clubs in Colorado, if not the United States. It was time for a change. This spring, my business partner Chad Brue and I completed the purchase of the club and adjacent ranch and began fulfilling and enhancing the club’s potential and our shared vision of assembling a vibrant and fun membership base consisting of local, regional, national and international members. One of the first steps in the process was giving the club a new name. We wanted it to carry a sense of history, have a sense of place and verbally illustrate the feeling of playing golf in the Colorado Rocky Mountains. It didn’t take long for us to choose “Frost Creek.” At first consideration the name sounds like a cool mountain stream, which it is in part as there is a creek that runs through the property named Frost Creek. But, the name goes deeper. The Brush Creek Valley was settled by a handful of gritty pioneers, one of whom was W. E. Frost. Much of Frost’s homestead was located on this property. The decision was made — Frost Creek it is! We also set out to re-envision, re-think and maximize every recreational amenity and asset available at the club, a task that is ongoing. For example, Frost Creek has private fishing rights to a large portion of Brush Creek. We recently partnered with Minturn Anglers to provide exclusive guiding service to our members and their guests. Whether a “never ever” or seasoned angler, fishing at Frost Creek is guaranteed to be a memorable experience. Testing the water myself, I can attest to the fact that the fishing is very good. Another evolving aspect of Frost Creek is access to our “member cabins.” The cabins allow non-local members the opportunity to stay and play at the club without owning a home at Frost Creek. Much like rental cabins at other resorts, members can book our cabins for their stays for very reasonable rates. Located close to the clubhouse, stays in the cabins ensure that members are right in the middle of the action and have luxurious lodging accommodations onsite. The concept is common in many European golf enclaves and probably made most famous by the cabins at Augusta National. Full kitchens allow home cooking or the culinary staff at the club can cater as many feasts as guests would like. Many have asked if Frost Creek is open to the public for dining. In fact, it is. We welcome diners to both lunch and dinner. Our vision for Frost Creek is a community of members from all around the country who love Colorado and the outdoors. We promise exceptional golf complemented by great fishing, dining, social events, pool activities, tennis, cycling and hiking to name a few. The location and proximity of Frost Creek to Eagle County’s resort areas and airport make club membership the perfect portal to the Colorado lifestyle. If you haven’t experienced Frost Creek first-hand, then I invite you to contact Kevin Denton at kdenton@frostcreek.com for a tour or come up for lunch this summer. 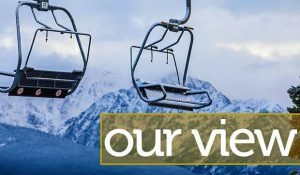 Chad and I love sharing our amazement with the natural surroundings and golf course with others, and we are proud to share more details about our vision with people who appreciate all that Colorado club life has to offer. 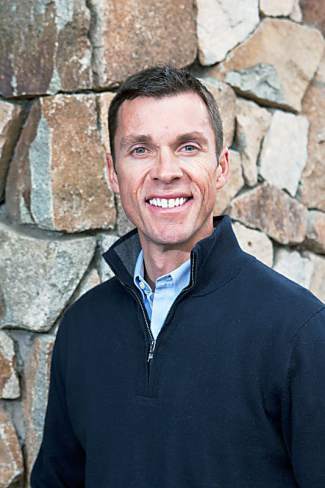 Dan Bennett is a partner in Frost Creek.